Mr. Patterson gave his first talk at Open Secret Bookstore, San Rafael, California, February, 1993, on Eating The "I". The first seminar was at Marconi Center, Marshall, California December 1993. Four seminars a year and talks followed throughout the years, but no record was kept. 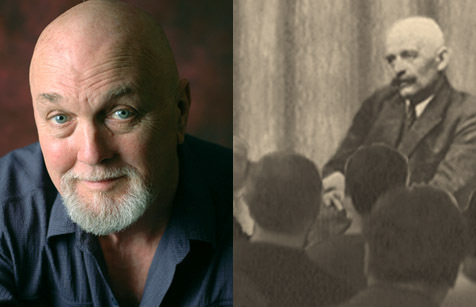 William Patrick Patterson is the founder/director of The Gurdjieff Studies Program, the author of eight books on The Fourth Way, and the director-writer-narrator of the award-winning documentary video trilogyThe Life and Significance of G.I. Gurdjieff. He is also the founder/editor of The Gurdjieff Journal (est. 1992), the first domestic and international Fourth Way journal. He has led Fourth Way groups and seminars for many years. He is the direct and longtime pupil of John Pentland, the remarkable man Mr. Gurdjieff chose to lead the Work in America.